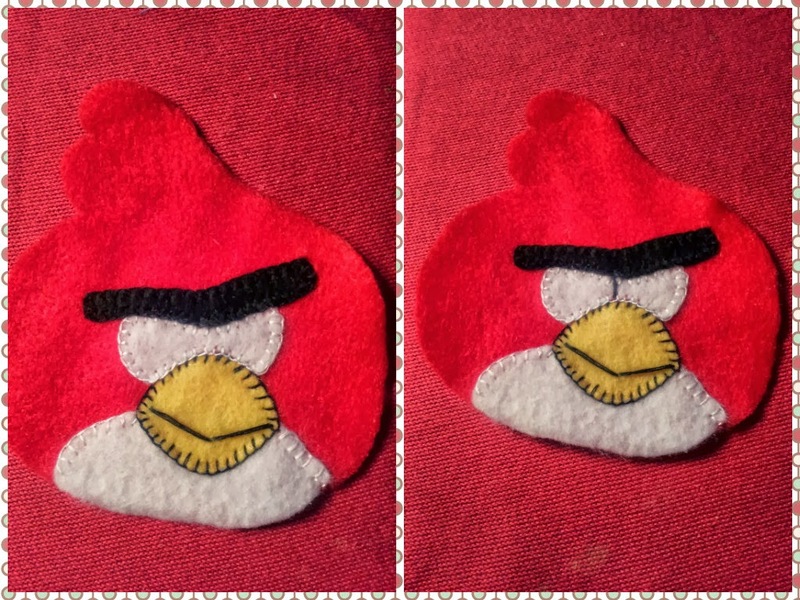 Today I'm going to to show you how to create an Angry Bird out of felt. In my case, I had created it as an accessory for my husband's car. For this tutorial, you will need: felt fabric colours of an Angry Bird. You also require fabric glue, scissors, threads, paper to cut out patterns, cotton, few sewing pins and a needle. 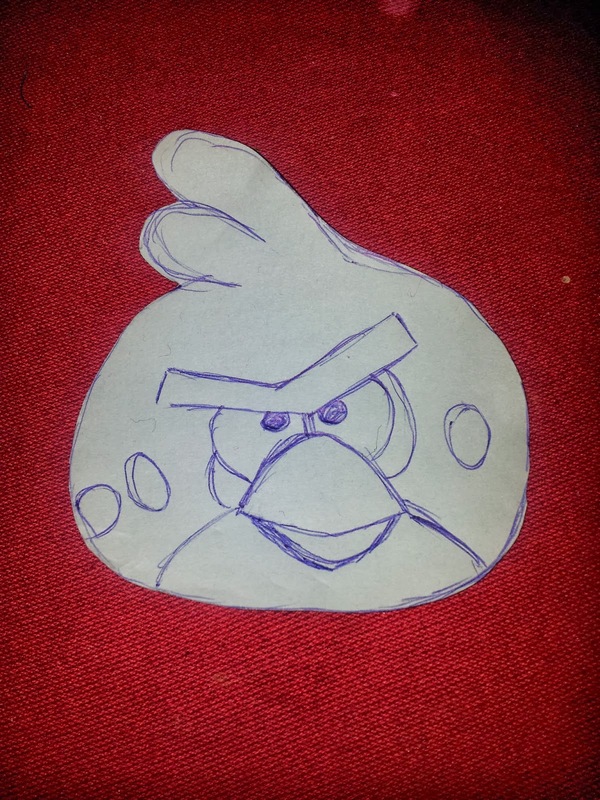 First thing you want to do is to find an Angry Bird with an emotion you like, I found mine on Internet. Once you have decided, draw and cut out all shapes. 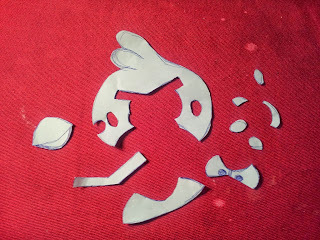 I have cut out the body (out of felt) prior to cutting out all the little parts. This bird is very delicate in terms of details, so I only used sewing pins for big parts, otherwise small details will rip apart from a pin and I just think they are not convenient at all for this kind of work. 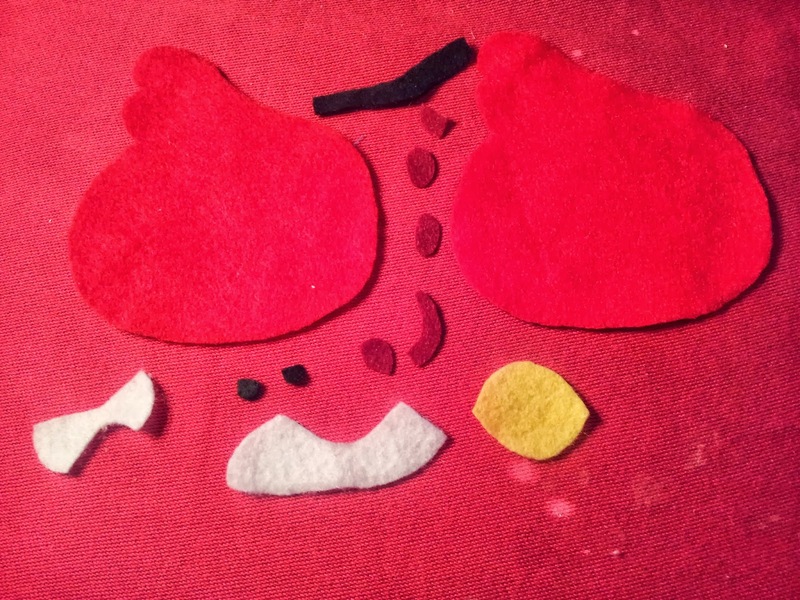 Neatly cut out felt shapes and don't forget the tail like I did. Some Angry Birds pictures don't show a tail, but it definitely has one. First step with these kind of crafts, is always start and finish all front pieces before sewing 2 body sides together. 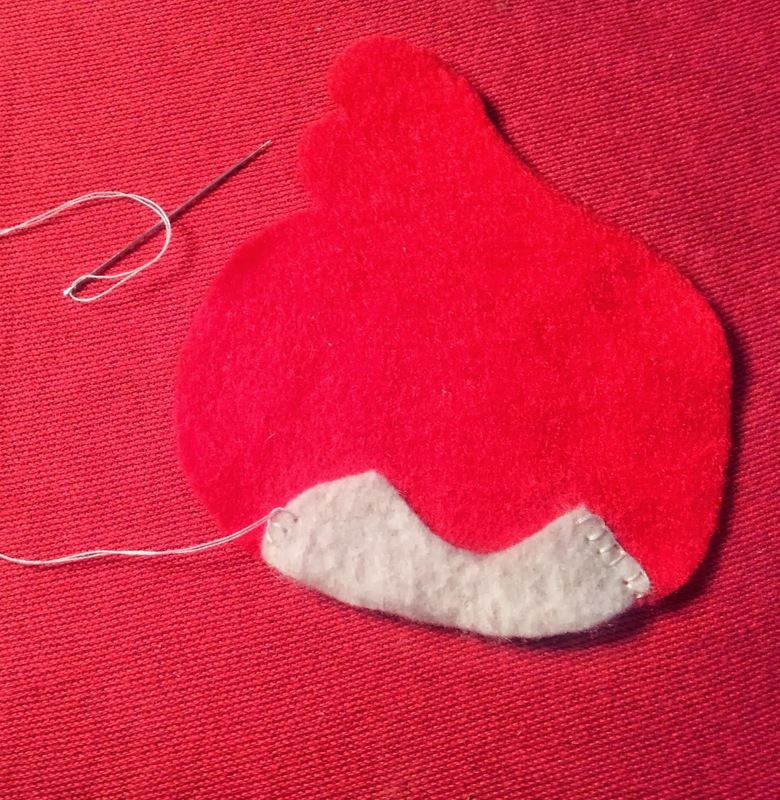 Start stitching white chest part only at the sides, leave top and bottom part untouched. 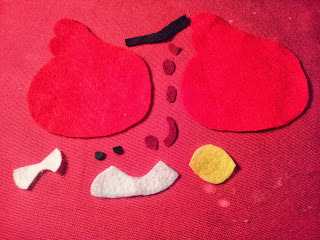 Sew beak lines with 2 regular long stitches in triangle like shape and start stitching it to the body with blanket stitch taking in little bit of white chest part to secure them together. Next step is to stitch white part of the eyes above the beak, when stitching with blanket stitch, make sure to take in a little bit of beak's top part for neat finish with no spaces between both parts. 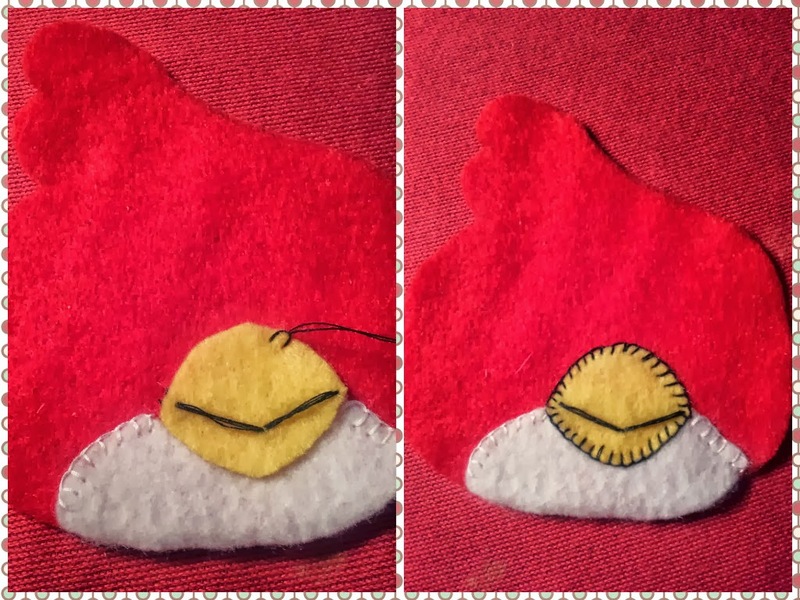 Using the same method as previous, with a blanket stitch, stitch Angry Bird's eyebrows above the eyes as close to each other as possible while taking in the top of the eyes with the stitch. Also after you are finished with eyebrows, use a regular stitch to create a thick vertical black line in the middle of the eyes to separate them. 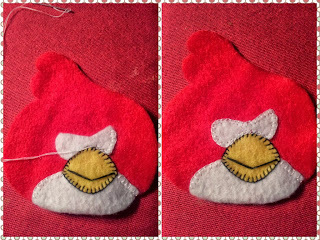 Start stitching both sides of the bird, when you come to the part where its tail is suppose to be, put it in between 2 sides and secure it with regular stitch, stuff the bird with cotton or a filler of your preference. Stitch to the top of its head and separate its fluff with one long regular stitch and return back to blanket stitch to the very top of the fluff. Use any kind of thread/elastic to loop it though one of the stitches and finish the rest of the body. Last step is to glue on the black of the eyes into place and burgundy colour circles which I believe is where the shade suppose to be. I hope you enjoyed another tutorial from me, leave me your thoughts on it in the comment section below and I will see you soon. По русски или по английски?